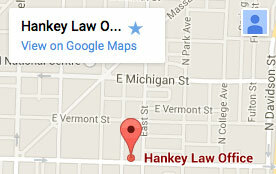 Hankey Law Office > FAQS > Can I apply for social security disability benefits on my own? Do I really need a lawyer? Can I apply for social security disability benefits on my own? Do I really need a lawyer? The law states that you can apply for social security benefits with or without the assistance of a disability lawyer. However, studies consistently show that people who file claims with legal representation are much more likely to have their cases approved than those who file on their own. The application process is time-consuming and often very complex; an Indianapolis social security lawyer can help you through each step of the process.